How is Cognitive Behavioral Therapy practiced? 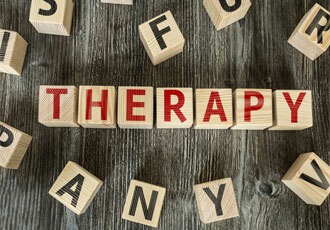 Cognitive Behavioral Therapy can be provided either in individual sessions with a therapist or through group therapy. The number of CBT sessions depends on the problems for which you need help. Although there are interventions with shorter durations for very specific problems, there are around 15 – 20 weekly sessions of a duration of 45 – 50 minutes each. You and your therapist will discuss together your particular difficulties and will set targets regarding which difficulties you will work on. Cognitive Behavioral Therapy does not consist a fast solution. There is hard work in the sessions and between them. Your therapist will not explicitly tell you what to do with your life and problems. Instead your therapist will help you decide about the difficulties you want to work on in order to improve your condition, and together you will discover the way toward this. Your therapist will also advise you on how you will continue to use the CBT techniques you have learned in your everyday life after the completion of your therapy. In what cases must I decide to seek psychotherapeutic help in order to address my problems? We all experience various, pleasant and unpleasant, feelings in our everyday life. If you are feeling that the unpleasant ones, such as fear, anxiety, sadness, discouragement, anger, guilt, shame, persist for a long time period and impede your functionality in your personal, professional and social life, then it is good to seek psychotherapeutic support. Family, friends and relatives are significant sources of help, however, sometimes they are not sufficient and they must be combined with the professional help of the specialist. What is the duration of a therapy session and what does it refer to? The duration of every session of cognitive – behavioral therapy is 45 – 50 minutes. Contrary to other types of therapy that are not structured and the patients bring every time with them to the session material for discussion in a less structured way, the session with a cognitive – behavioral therapist is structured. You and your therapist shall set an agenda for each session. The agenda shall usually include an overview of your experience in the previous session, a discussion of how the work you made between sessions went, a discussion on one or two current problems that possibly deteriorate your mood (where there is a deepening and application of all the theoretical issues that have been discussed), and near the end of the sessions comments are made on the experience of each meeting and new homework is set with the respective instructions and explanations. Why is homework necessary? Aren’t the therapy sessions enough? The basic aim of the therapy sessions is to apply in your everyday function and practice all you learn in the therapist’s office. The obligation of homework motivates you regarding the undertaking of your personal responsibility for the successful outcome of the therapy. Your part is to become the “observer” of yourself, to learn to monitor and record your thoughts, feelings, actions, changes in your way of communicating. In this way you will control the course of your goals, you will try to perform corrective interventions and you will feel satisfied of the progress that has been made. Homework is adapted to your personality, needs and time and space restrictions. Anyway, don’t you act in the same way when you visit a physician or physiotherapist? Don’t you ask them what you must do until your next meeting? Is it possible that I need medication? The answer is not easy. There are disorders that require medication, which in some cases must be permanently administered (schizophrenia, etc.) and, as studies have shown, medication is rather more effective than any kind of therapy. However, in a series of quite common Mental Disorders, such as Anxiety Disorders or Emotional Disorders (depression, melancholia), the cognitive – behavioral therapy is accompanied only selectively, when it is deemed necessary (intense anxiety, severe depression, serious physical discomfort), by medication until a remission or relief of the unpleasant symptoms is achieved. The role of medicines is sometimes important, so that the therapy can be successfully applied and have better results. A significant reason for the fact that many people who have psychological problems avoid medicines is the addiction that is caused by them, which is confirmed for some medicines (such as medicines against anxiety), and is suspected for some others (recently the discussion about some very well known antidepressants was revived). The Psychiatrist is the only specialist that can undertake the responsibility of administration, the dosage and duration of administration of psychiatric medicines, and informs your therapist that has referred you to him/her regarding the progress of your medication treatment. Do not hesitate to ask your Psychiatrist about anything you believe you must know. Inform them on time about any problem you encounter.